Why is this book relevant? Punjabis and Sikhs worldwide are addicted to drugs/alcohol and other negative habits. This is one proven system that has helped thousands. In today’s world of quick fixes, we strive for ease and comfort. It is easy to slip into complacency and go to sleep in our own lives. 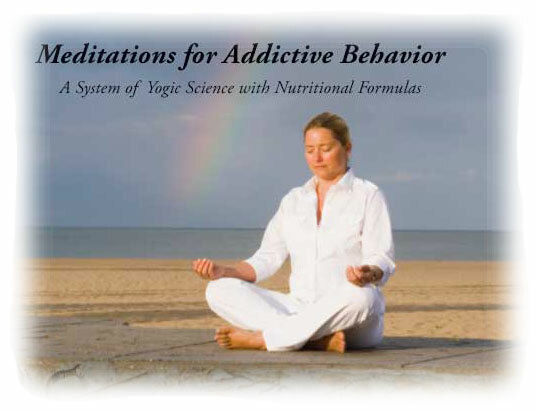 Meditations for Addictive Behavior provides a complete guide to Kundalini Yoga techniques developed by Yogi Bhajan to assist in spiritual awakening and the recovery from addiction. These meditations can help break destructive tendencies and reawaken the self. Individuals, teachers and counselors will find this book an inspiring introduction to life-changing habits. Most of our lives are spent doing things out of habit – how we walk, talk, dress, eat, and especially how we think! Some habits are beneficial, but many are not. They tear us down and only give us temporary pleasure. Yogi Bhajan called these "self-defeating habits." When they get out of control, they become addictions. Overcoming our addictions can seem daunting. The key to change is to substitute positive habits for self-defeating ones. "Meditations for Addictive Behavior" is full of positive habits you can incorporate into your daily life to replace the addictive ones that are jeopardizing your health and happiness. It is your birthright as a human being to be healthy and happy. Claim it! By practicing these twelve meditations, utilizing the nutritional tips, and reading the inspiring words you can accelerate your self-healing process and enhance your personal spiritual awareness. So take the first step. Try the first mediation. Make it a habit and see for yourself : "Doing is believing." 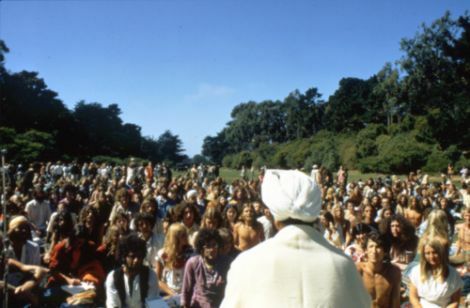 In 1969, Yogi Bhajan came to America to teach Kundalini Yoga. He found young people taking drugs to escape the emptiness and isolation of their cultural environment. Middle class housewives were taking pills with a distorted hope of numbing themselves from an inner unhappiness. Businessmen used alcohol to deal with stress and to help them to relax. At the same time, Yogi Bhajan found people in the West seeking spiritual fulfillment. Yogi Bhajan began addressing these problems at a grassroots level and started teaching Kundalini Yoga and meditation classes. Slowly people experienced an alternative way of feeling good naturally. As an experiment, he housed two heroin addicts in his center in Washington, D.C. for two weeks, in a 24×7 controlled environment. The core of his treatment program for them was Kundalini Yoga and meditation. Both men experienced an amazing transformation. Out of this SuperHealth was born. Inspired by the results in Washington, the Tucson, Arizona center conducted a pilot project for a drug user to enter treatment. This was the beginning of a residential program that would come to be accredited by the prestigious Joint Commission on Accreditation of Healthcare Organizations, eventually receiving its highest commendation. In 1978, SuperHealth distinguished itself as being in the top 10% of all treatment programs throughout the United States. Over the years, SuperHealth developed into a systemized program with customized treatment plans for behavioral addictions including stress, substance abuse and other unhealthy habits and emotional disorders. 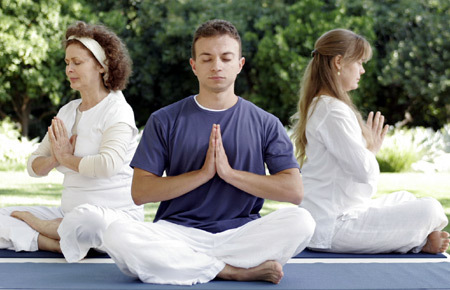 The program included three Kundalini Yoga and meditation classes each day, providing a specific detoxification and rehabilitation diet complete with fresh juices, a vitamin and herbal regime, therapeutic massages, Humanology sessions (applied psychology from the perspective of Kundalini Yoga) and individual, family and spiritual counseling. In 2004, Yogi Bhajan’s life long goal, for these teachings to be brought back to India, became a reality. The Punjab government invited SuperHealth to conduct a 90 day pilot project for drug users in Amritsar, India. In October of that year, with a team of professional volunteers, the program opened to serve ten clients. The experience profoundly changed their lives. A research paper in “The Journal of Ethnicity in Substance Abuse” has been published in 2008 on the effectiveness of the program in Amritsar. The problem of addictive behaviors and unhealthy lifestyles spans all cultures and is becoming increasingly acute as globalization spreads. To address this concern, SuperHealth is conducting training programs for yoga teachers and healthcare professionals. Once trained, these people will be able to serve their local communities. We offer simple meditations with inspirational words for you to use in your everyday life. These are the original teachings that Yogi Bhajan used when he first came to America. It is our blessing to share them with you. Many find that the practice of this technology is more easily experienced by the heart than by the mind. Yogi Bhajan taught that the birthright of all people is to be happy and live in peace. This is our prayer. YOOOOOOOO! this AWESOME! this Man was Great, may he R.I.P., I love Yogi Ji, whoa hes great i need to get this book i could help myself and so many others for free, YES! EK ONG KAR GUR PARSAD: SAT SRI AKAL! Awesome! It is true punjabis and sikhs worldwide is addicted to drugs and alcohol, but how does one get those people to sit and practice yoga? It is very difficult indeed. With their negative mid automaticlly disregarding the matter as an insult to their way of living, these times yoga is needed, but increasly difficult to instil in people who continue to have the company of ‘bad’ sangat. Slowly but surly, things can only become easier for all.